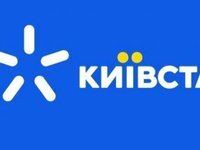 The mobile communications operator Kyivstar has said that the company is ready jointly with the regulator to discuss the possibility of redistributing radio frequency spectra in the 900 MHz band for provision of 3G and 4G services if synchronously the technology neutrality principle is introduced and the refarming is carried out. Government Relations Director at Kyivstar Oleksandr Kohut told Interfax-Ukraine that now the operator uses the radio frequency spectra, which it received under Ukrainian law, in full. The operator services the largest subscribers' base in Ukraine – 26.5 million active users. "The more subscribers and traffic in the network - the more frequencies are needed for their high-quality service, but we are now ready, together with the regulator, to discuss the possibility of allocating frequencies in the 900 MHz band for the provision of 3G and 4G communication if a parallel decision on the introduction of technology neutrality in the specified band is made and the refarming is carried out," he said. Kohut also said that the problem of frequency shortage can be solved only through effective spectrum management, the introduction of the technology neutrality principle and real conversion of frequencies that were assigned to special users. Kyivstar, for its part, many times suggested that other companies implement the radio spectrum refarming in the 900 MHz band, which would release the "technical" frequencies used to differentiate the licensed bands of different operators. This will immediately release approximately 3 MHz (2x1.5) of hard-to-find spectra," he said. However, according to Kohut, the rest of the market players passively reacted to these proposals and did not enter into a constructive dialogue, or they proposed unacceptable requirements for Kyivstar. Kohut also recalled that Kyivstar was already a "donor" of frequencies for the development of 4G in Ukraine in the 1800 MHz band. Commenting on the problem of the shortage of frequency spectra for the effective functioning of all mobile operators, he said that in Ukraine little-known companies have some frequency spectra in Ukraine. Once they received licenses and only partially used them or did not start providing the respective services at all. "These companies simply hold radio frequencies to increase the market value of their assets hoping to successfully resell them in the future with a big profit for themselves. This is what we saw when frequencies were distributed in the 2600 MHz band. We have said more than once that one way to solve the "frequency" issue may be the removal of the RF resource from inefficient users by the state, their re-licensing and putting up for sale," he said. In the opinion of the government relations director of Kyivstar, for this, the regulator needs to audit all issued licenses, audit the effectiveness of their development and equalize the fees for RF spectrum paid to the budget. At the same time, he said, if it is established by the audit that the spectrum is used inefficiently, the regulator must remove a part of the spectrum that is not used for its further redistribution. Kohut also said that Kyivstar supports the idea of conducting a detailed analysis of the entire RF spectra in the 800/900 MHz bands, including "operator-used" frequencies, RF occupied by the military, the released frequencies of the "digital dividend" and the frequencies occupied by CDMA-850. "With such an integrated approach, it is possible to come up with an option that suits all market players," he said. As reported, Vodafone Ukraine and lifecell mobile communications operators advocate the redistribution of spectra within the 900 MHz band (with the purpose of the further launch of 3G/4G standards within the band), taking into account the interests of all operators.